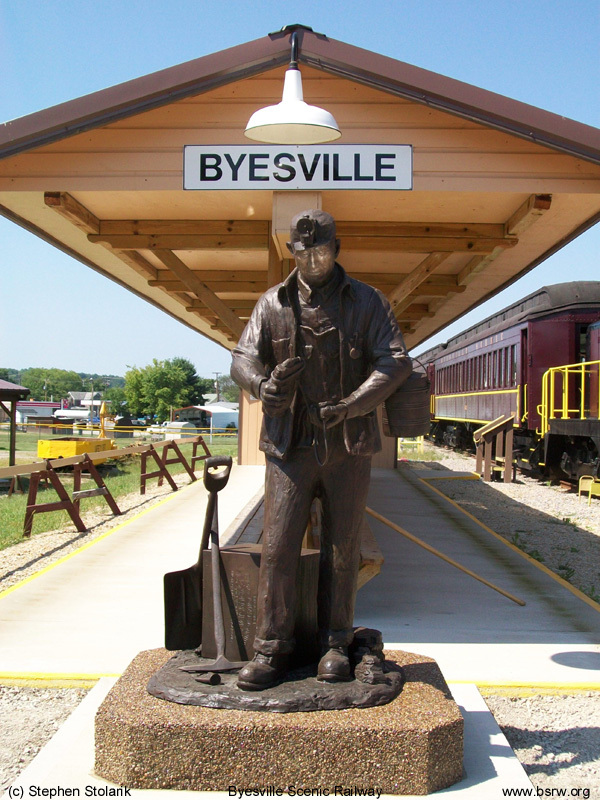 September 8th 2012 at our station in Byesville. Our new Coal Miner's Memorial completed in September 2012. Due to circumstances beyond our control, our excursion train is not operating until further notice. We wish to thank those who have supported us in the past and hope to possibly operate once again in the future. Please visit our website again for possible future updates on our train operations. Thank you! © 2006-2013 Byesville Scenic Railway Inc. All rights reserved.